1. 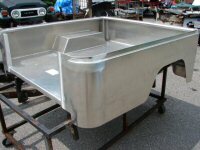 There is one common myth about aluminum body tubs: Where aluminum and steel meet, electrolysis will occur and weaken the metals. 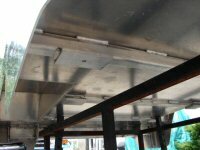 It is scientifically true that electrolysis will occur between different metals, but it's only a significant factor in marine construction where the metals are immersed in water over a long period of time. These conditions simply don't occur on a vehicle. The fact is, it's not going to happen in a motor vehicle with an aluminum body. 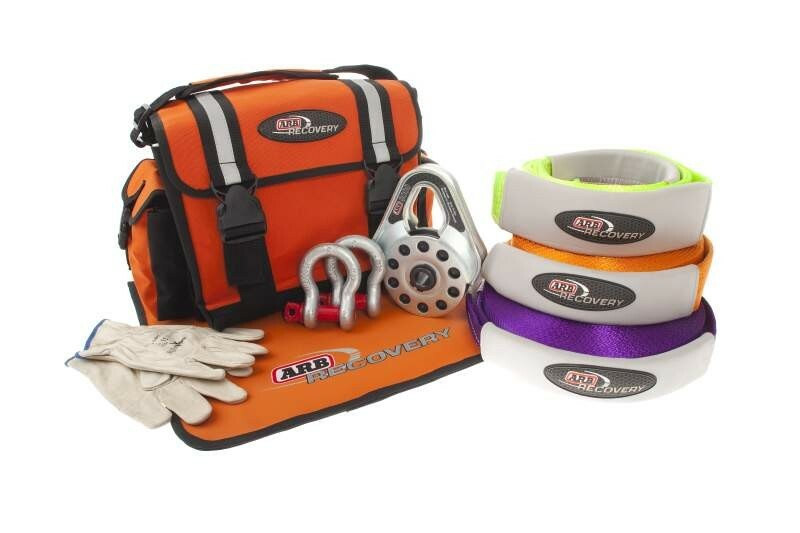 Think about the ways aluminum and steel have been successfully used together for many years. Most aircraft, for example, combine aluminum and steel. In automobiles, the legendary Shelby AC Cobra has an aluminum body and a steel chassis. Chevrolet's new Corvette, the new Audi A8 (see AutoWeek Sept. 2, 2002 issue), the new 2003 Jaguar XJ8 sports an all aluminum body (see AutoWeek Dec. 23, 2002 issue), and even the noble Bentleys and Rolls Royces of today, (see AutoWeek April 21, 2003 for the new Aluminum Rolls Royce Phantom), and yesteryear, have been crafted of aluminum and steel in happy combination. The Ferrari Modena 360, Acura NXS, and Aston Martin Vanquish all use aluminum to enhance vehicle performance. The auto industry is becoming "bullish" on aluminunm and it's use for body parts. In summary, don't worry about electrolysis. It occurs, but so slowly and minutely that it's almost like watching the wind erode the Great Pyramids. 2. You may also hear that aluminum doesn't hold paint well. That's another myth. Properly prepped and primed, an aluminum body can be painted in the color of your choice, and the finish will wear as well as if it were painted on steel. If you're doing your own painting, consult your paint manufacturer (DuPont, PPG, Martin Senour, Sikkens, House of Kolor, etc.) for proper prep and finish-coat techniques. [For further information about steel versus aluminum, see "Aluminum: Know the Facts," printed by the Aluminum Association, 900 19th Street NW, Washington DC, 20006. 3. The last somewhat odd myth is that aluminum is not a natural grounding metal. This is WRONG. According to my 7th grade science class, aluminum is a very good ground and often used to ground many objects. We often use the aluminum body to ground accessories such as stereos, CB radios, and not to mention the vehicle's wiring harness. 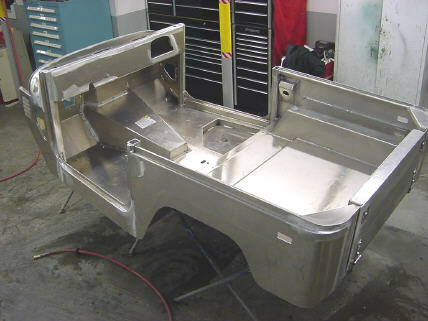 Cruiser Solutions PIONEERED the sales and installation of aluminum body tubs here in the U.S.A. in 1992, and we think they're the way to go when restoring Toyota Land Cruisers. 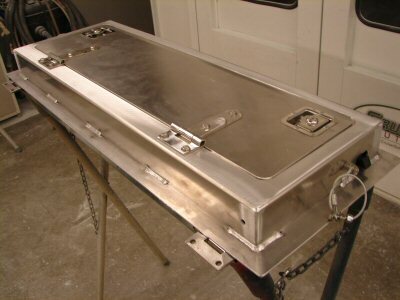 What's so good about the Aluminum Body Tub? The heavy-gauge (quarter-inch and eighth-inch) marine-grade 5052 and aircraft-grade aluminum 6061 (T6) is pound-for-pound stronger than the original steel body. 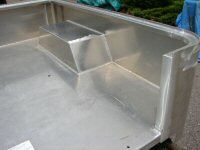 The aluminum body tub does not rust. 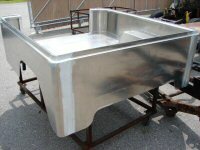 The aluminum body tub can be left unpainted and look great! 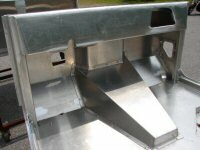 The aluminum body tub can be painted in the color and finish of your choice. It's economical and easy to install, whether you do it yourself or we do it for you. 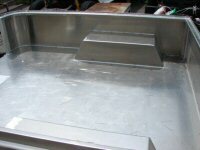 Aluminum is an excellent conductor of electrical current and the body tub serves as a natural ground for the electrical system. Best of all it will improve the value of your Land Cruiser, helping it to appreciate in the years to come, lasting longer. *Shipping and Handling has a separate charge. Please call or email for a quote on both these costs. We ship our products ANYWHERE in the world.